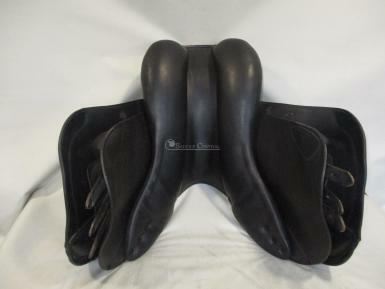 Harry Dabbs Avant pony jump saddle with calfskin covered flaps and medium depth seat and front and rear thigh blocks. 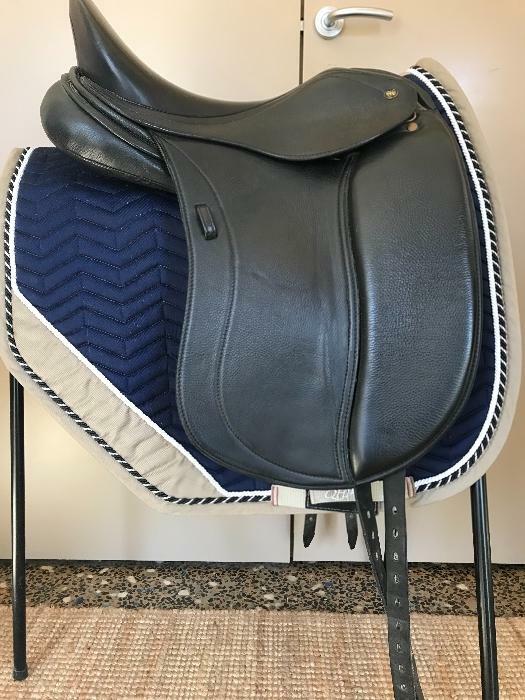 Featuring the Harry Dabbs wool flocked performance panel, designed to leave the back sooner keeping the lumbar region free enabling the horse to move more freely. 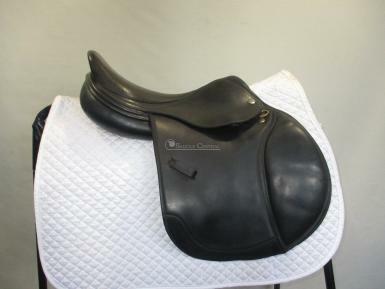 The performance panel is also ideal for croup high horses/ponies. 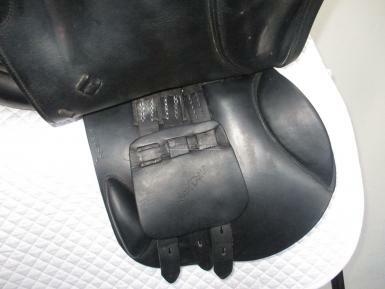 The half front panels free up the trapezius muscle in the shoulder area, to aid fore limb movement. Some scratches on the flap and skirt that look like they may be from a cat, apart from this is in great condition. 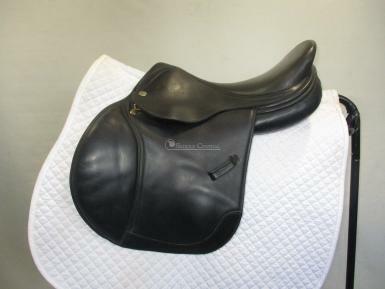 Saddle Condition: good Wear/Damage: some scratches on the nearside flap and skirt. 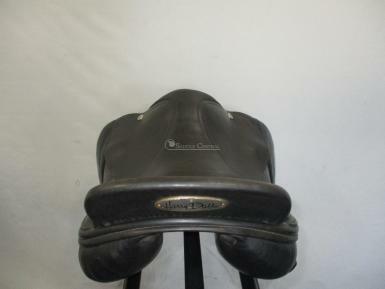 Slight loss of colour on the seat leather.